The official 2014 Fiat 500, 500L and Fiat 500 Abarth Accessories Catalog has just been released and is here for your enjoyment! The Fiat 500 is one of the most customizable cars on the planet, with more than 500,000 possible combinations of trims and accessories available when it is ordered, but it doesn't stop there! 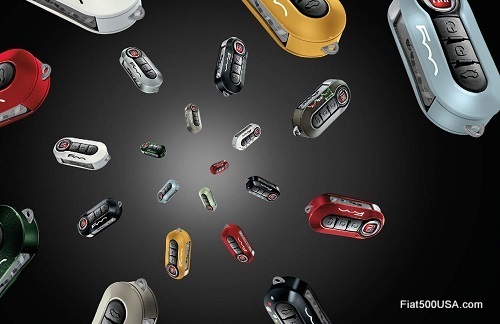 Once you get your Fiat, there is a whole range of accessories you can add whenever the mood hits. 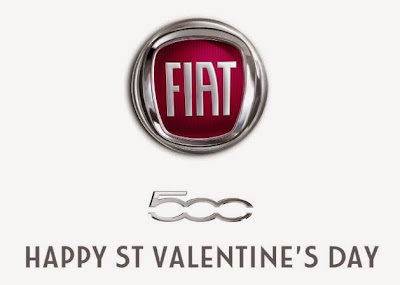 Fun Valentine's Day advertisement from Fiat. Discover the love spirit of Fiat 500 on Saint Valentine's day and spend a great journey with your lover. Happy Saint Valentine's Day! 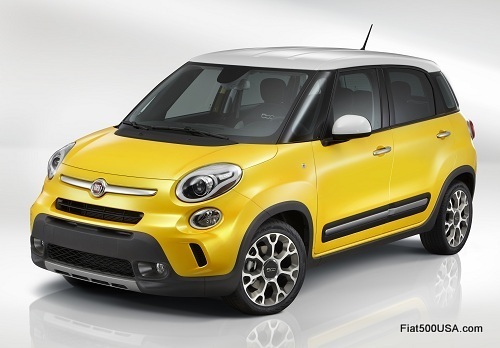 The new Fiat 500L Beats Edition makes its debut in Italy this week. 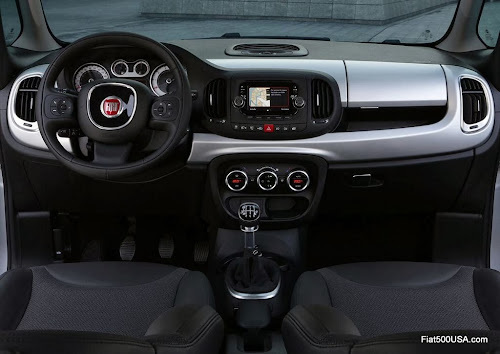 This special edition Fiat is based on the rugged 500L Trekking and features the high end BeatsAudio stereo system and unique trim. The new model is going on sale in Italy this week and will be rolled out to the rest of Europe shortly. With luck, we may see something similar here in North America. 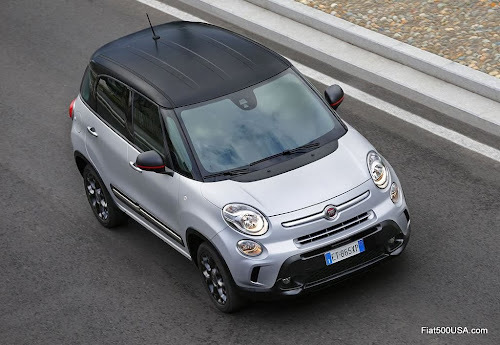 On the outside, the Fiat 500L Beats Edition is characterised by a classy two-tone grey/black paint job in matte or glossy finish and augmented by red and satin chrome trim. 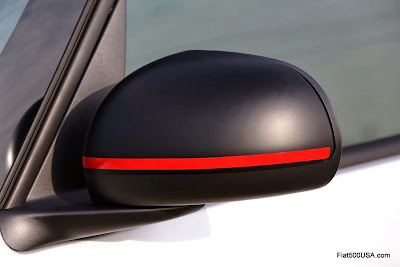 Color combinations are grey body/black roof, both with matte paint, or black/grey or grey/black with glossy paint. The trim features satin chrome accents on the mirror fairings, front 'whiskers' and tailgate handle, and matte black painted wheel flares, skirts, bumpers and 17" alloy wheels. Completing the look are red inserts on the mirror fairings and red brake calipers. 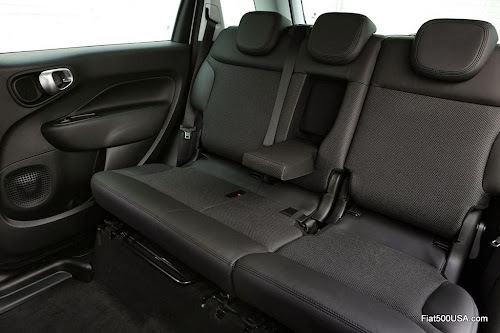 Inside, the Fiat 500L Beats Edition uses a distinctive 'Total Black' environment with new eco-leather black trim with red stitching. 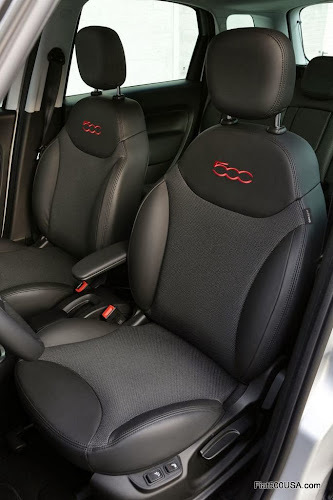 The matte grey dashboard combined with the Total Black trim and red stitching on the seats and '500' logo on the front backrest makes for an attractive interior. Star of the Fiat 500L Beats Edition is the premium sound system developed by recording artist and producer Dr. Dre and Interscope Geffen A&M Records chairman and record producer Jimmy Iovine called BeatsAudio. The two audio experts worked together with Fiat Group sound engineers to develop and calibrate the sound system that offers a premium listening experience. The BeatsAudio system boasts 520 W of total power, divided between two 80 W (Ø 165 mm) mid-woofer speakers placed in the lower part of the front door panel; two 40 W (Ø 38 mm) tweeter speakers placed in the upper part of the front door panel; two 60 W (Ø 165 mm) full-range speakers placed in the rear door panel; and one 80 + 80 W (Ø 165 mm) subwoofer located in the trunk The BeatsAudio system is complete with an amplifier with DSP and 8 channels that integrate an advanced equalisation algorithm, recreating the sound spectrum similar to what an artist experiences during studio recordings. 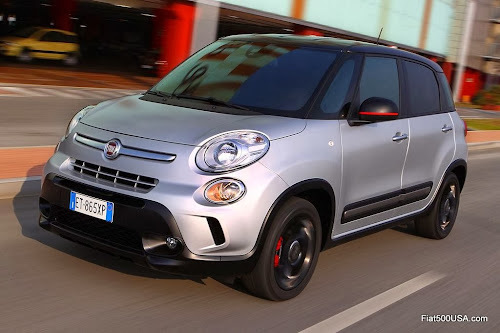 The Fiat 500L Beats Edition is available with two gas engines - 120 HP 1.4 T-Jet and 105 HP 0.9 TwinAir Turbo - and two turbodiesel engines: 105 HP 1.6 MultiJet II and 120 HP 1.6 MultiJet II. The two cylinder 0.9L TwinAir Turbo produces 105 HP @ 5500 rpm in normal mode and 98 HP @ 5750 in Eco mode. Torque is 145 Nm (107 lb.-ft) @ 2000 rpm in normal mode and 120 Nm (89 lb.-ft) @ 1750 rpm. Fuel economy using the European combined cycle standard is 5.1 l/100 km or 46 mpg. The 1.6 MultiJet II boasts high torque at low engine speeds making it highly flexible while achieving outstanding fuel economy. Interestingly, both the 120 HP and the 105 HP versions produce the same 320 Nm (236 lb.-ft) of torque at 1750 rpm. The 105 HP engine gets a little better fuel economy - 4.7 l/100 km (50 mpg) compared to 4.8 l/100 km (49 mpg) in the combined cycle. Servicing is every two years or 36,000 km. The gasoline 1.4L T-Jet engine has a maximum of 120 HP (88 kW) achieved at 5000 rpm, and a maximum of torque of 215 Nm (159 lb.-ft) at 2500 rpm. Fuel economy is rated at 5.7 l/100 km (41 mpg) using the European testing standard. 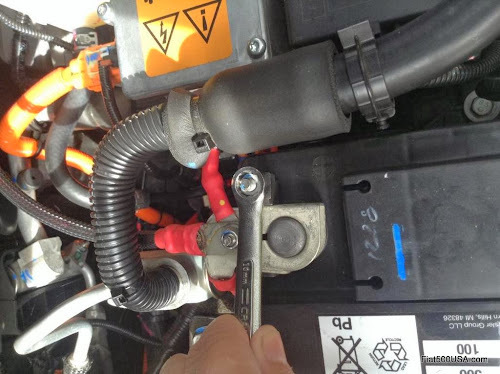 Servicing is every 30,000 Km (18,600 miles). Fiat is the European leader in LPG Natural Gas vehicles, and the LPG version of the 120 HP 1.4L T-Jet achieves 7.2 l/100 km or 33 mpg. 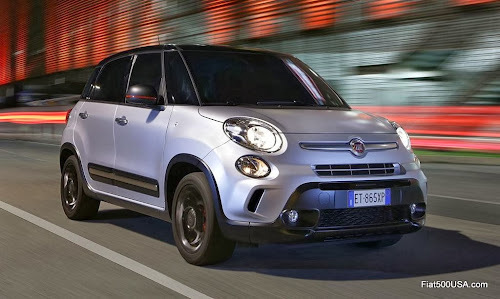 The Fiat 500L Beats Edition offers as standard smart front-wheel drive with Traction+ technology which, together with the standard Mud and Snow tires, improves the vehicle's handling on terrain with poor grip. Traction+ works by using the All-Speed Traction Control which reduces engine torque as well as applying the brakes in certain condition. Torque is reduced by closing the throttle valve. If the wheel slip is severe enough to require throttle intervention, All-Speed Traction Control will reduce engine torque and sometimes even up shift the transmission (automatic trans) to avoid the condition. In milliseconds, All-Speed Traction Control interrogates the engine control system to determine the current torque output, determines how much the torque output the current conditions will allow, and signals this requirement to the engine control system, which reduces the torque by partially closing the throttle. With the execution of the torque reduction, the brake system reduces brake pressure to make the transition smooth, while maintaining forward progress. Throttle control makes the vehicle less reliant on brake application alone to maintain traction, increasing the operating speed range and more closely modulates speed, resulting in smoother operation. 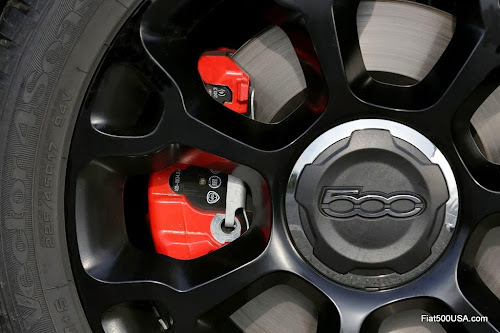 By reducing engine power, braking effectiveness is maintained , and the system can operate throughout the normal vehicle speed range. 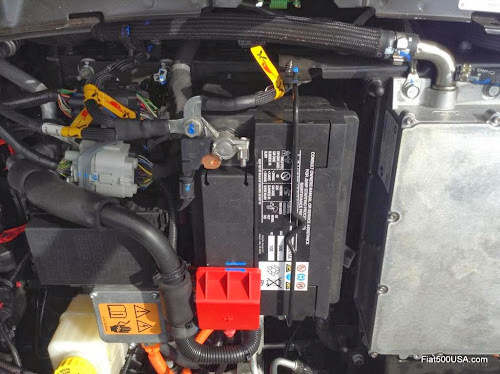 That is why the system is identified as providing “all-speed” traction control. 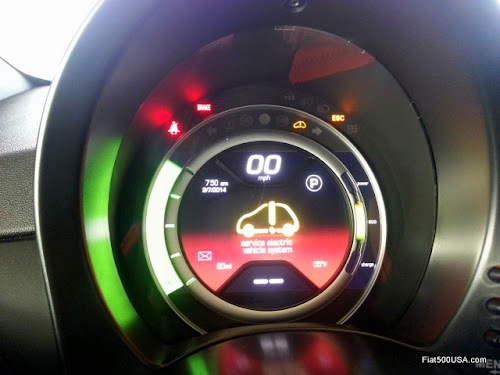 All Fiat 500 models sold in the United States use this advanced traction control system. 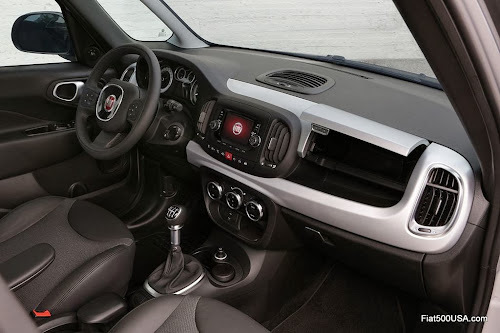 The Fiat 500L Beats Edition comes fully equipped with automatic climate control, power rear windows, fog lights, the Traction+ system, 17" alloy wheels, the Mud and Snow tires, the Uconnect system with 5" touchscreen, automatic headlights, rain sensor and privacy windows. 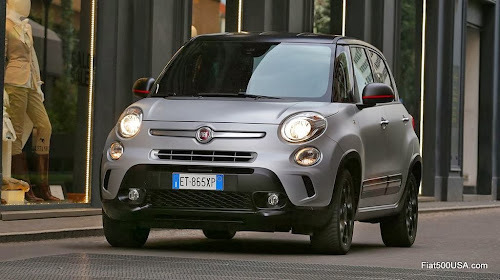 Expect to see more special edition Fiat 500L models showing up in Europe as well as North America. We'll be watching! 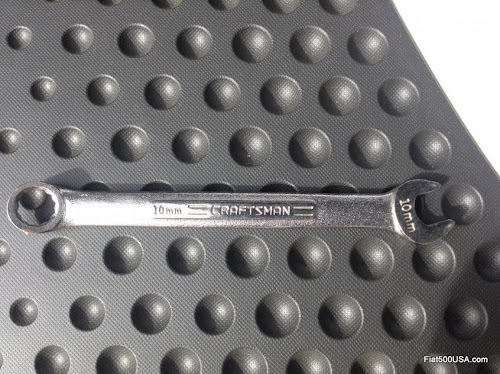 Attention Fiat 500 Abarth owners! The 2014 Abarth Experience calendar has been posted. For those who don't know, the Abarth Experience is a track day like experience included in the purchase of a new Fiat 500 Abarth. During the Abarth Experience, owners learn from professional high performance driving instructors how to exploit all the performance of the Fiat 500 Abarth, in a safe and controlled race track environment. 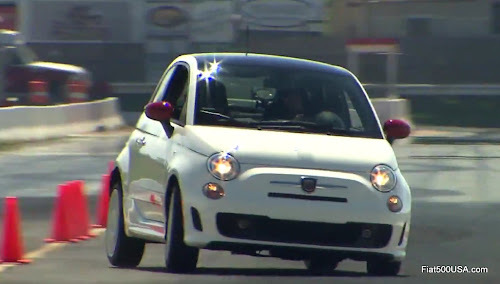 Last year, Consumer Reports visited the Abarth Experience and had a blast. 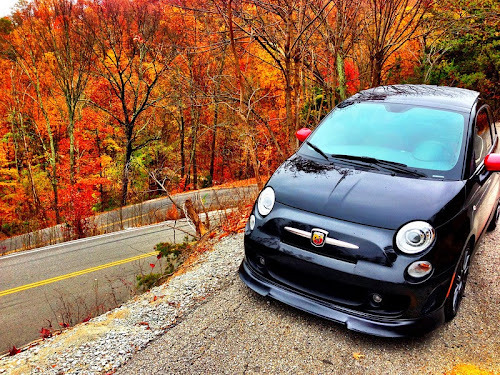 In 2012, the Abarth Experience was ranked the number one car manufacturer's provided driving school by Automobile Magazine. 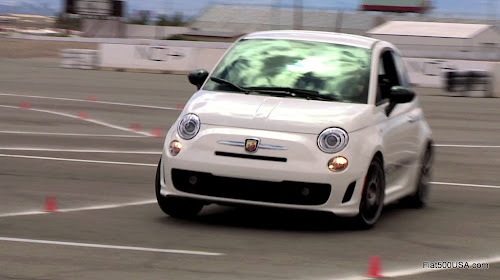 Don't miss your shot at getting an Abarth on a race track! 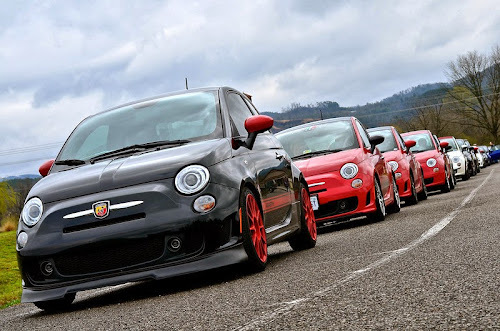 •Abarth Autocross — Horsepower. Handling. Brakes. Speed. •Abarth Head-to-Head Challenge — Two Drivers. One Track. Who Will Triumph? •Abarth Driving Dynamics — Learn Precision Skills from a Seasoned Professional. The 2014 schedule is has just been posted so make sure you visit the site as soon as possible because the events begin this month and you don't want to miss the venue near you. You need to have taken delivery of your 500 Abarth to register and have your VIN handy. A new global TV commercial for the Fiat 500L debuted last night. 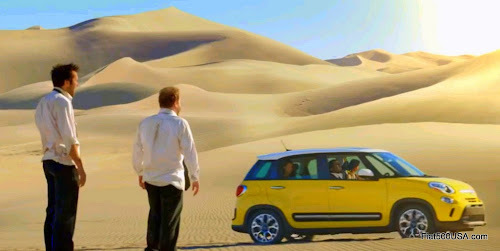 The commercial named "Mirage," features a pair lost in the desert that think the Fiat 500L they see is a mirage because they don't believe that a Fiat can have four doors and be so roomy. Sean "Diddy" Combs also is featured, promoting his new TV channel "Revolt TV." The commercial introduces the 500L's new tagline "Unbelievably Big." It Is used to tell the story that Fiat makes large cars too. The TV spots run in Europe will show the new 500L "Beats Edition" available at the moment only in Europe. Below is a preview of the modified European version of the commercial. Seven years after its 2007 European introduction the Fiat 500 continues to be a sales phenomenon. Most model's sales fall off drastically as the model ages, however the Fiat 500 bucks that trend. Last year, the Fiat 500 was Europe's best selling city-car. Even in the US, three years after its debut in 2011 the Fiat 500 is a force to be reckoned with. In January, Fiat USA, with just two models, the 500 and 500L outsold the entire seven car lineup of MINI USA. 3,222 to 2,543. Sales performance of the Fiat 500 in Europe. The dotted line marks the typical life cycle curve of a traditional A-Segment model, however Fiat 500 sales have remained consistently strong and resilient throughout. Last year the Fiat 500 was the best selling A-segment car in Europe. This minicar segment is Europe's second largest car segment and the 500 has run neck and neck with the Fiat Panda for top honors for the past six years. Between the 500 and Panda, Fiat sold 312,419 cars compared to runner-up Volkswagen with 202,343 cars spread among its three cars in the segment. This is not an isolated occurrence, either. So far this year the Fiat 500 (2,493) has outsold the Chevrolet Spark (1,844), the Mitsubishi MiEV (1), the Scion iQ (166) Smart ForTwo (521), Hyundai Veloster (1,821), Mini Cooper (1,358) and Scion Tc (1,107), Toyota Yaris (1,005) Volkswagen Beetle 2,034, Volkswagen Golf 1,712 and Mazda 2 (907). But it gets better. If you're thinking it's a fluke and the 500 just had a good month, Here is a list of popular cars that the Fiat 500 has outsold for the past two straight years: Hyundai Veloster, VW Golf, Mazda 2, Scion Tc, Scion IQ, Smart ForTwo, Chevrolet Spark and Toyota Yaris. Despite falling small car sales in the US, the Fiat 500 has kept its lead over its competitors. 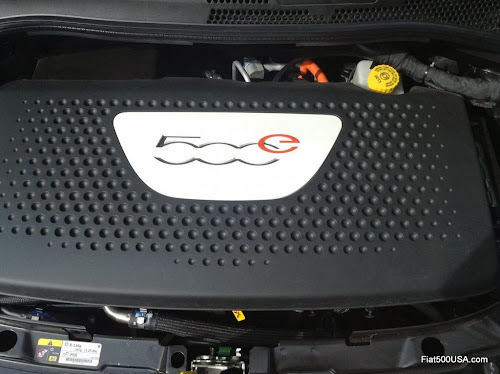 What seems obvious with all this is the unique, timeless design of the Fiat 500 keeps the car fresh and engaging. I think the over 1.1 million Fiat 500 owners worldwide would agree. Fiat kicked off the new year on a high note. January is traditionally the slowest month for car sales; however, Fiat recorded a 29 percent increase over last year. It was the best January the Fiat brand had since its introduction. Fiat sold a total of 3,222 units last month compared to 2,503 cars in 2013, and 1911 in 2012 (Fiat began deliveries of the 500 in March 2011). Fiat sales were bolstered with end of model year incentives that topped $5,000 on certain models. 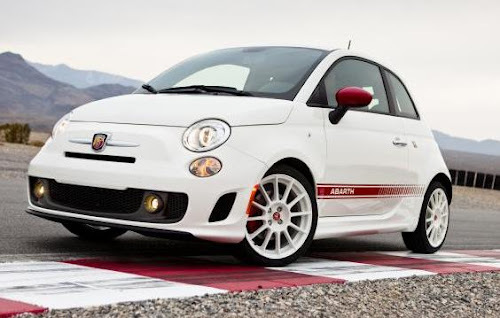 This helped Fiat 500 Abarth sales soar 56 percent over last January's. Conversely, Fiat 500L sales dipped to the second lowest since the car's introduction last June. Overall Fiat 500 sales were good taking into account industry wide slow sales of small cars and frigid weather affecting an unusually wide portion of the country. For perspective, Fiat with just two models (the 500 and the 500L) outsold the entire seven car lineup of MINI last month (3,222 for Fiat vs. 2,543 for MINI). That's an impressive feat. January brought news that Fiat completely took ownership of Chrysler, and the two companies are one. The newly combined Fiat Chrysler Automobiles Group is the seventh largest car maker in the world. Pricing for the new Fiat 500 GQ Edition was released, and the 500 won yet another award. This time, the Fiat 500 earned a Polk Automotive Loyalty Award in the Non-Luxury Traditional Subcompact Car category. Polk Automotive Loyalty Awards recognize manufacturers for superior performance in owner retention. Owners had such a positive overall experience that they came back to buy another vehicle of the same model, make, or manufacturer. The Fiat 500 was introduced in 2007, and seven years later it still gathers awards! Not many cars do that.